A novel method for keeping live tissue may help patients dealing with joint repair recover more quickly. Researchers from the University of Missouri-Columbia discovered that there may be a way to preserve donor tissue so that it can be used to help joints around the bone rejuvenate. 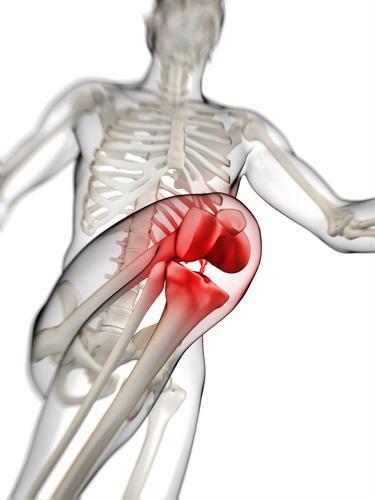 The findings were published in the journal Clinical Orthopaedics and Related Research. "The benefit to patients is that more graft material will be available and it will be of better quality. This will allow us as surgeons to provide a more natural joint repair option for our patients," study author James Stannard, Ph.D., noted. The Arthritis Foundation noted that in 2014, approximately 7 million Americans underwent total joint replacements, whether it was related to the hip or the knee. Knee replacements are slightly more common: There were approximately 4.7 million knee replacements and 2.5 million hip replacements in 2014. In the past, donors have given their tissue to try and help make other people's lives a little more manageable. However, the tissue often did not last long enough while being transported, causing it to be thrown out by the time it reached the patient in need. Luckily, these study authors may have found a way to stop wasting precious tissue and keep it alive, even if it has to travel longer distances. The researchers came up with a type of technology that can double the life of the tissue, making it more durable even if it is not attached to someone. The technology was able to preserve the tissue and keep it at the level desired for it to be used in someone else. The technology has been dubbed the Missouri Osteochondral Allograft Preservation System. In the past, tissue has been stored inside a plastic bag with a solution proved to preserve the tissue. These bags are placed in temperature-controlled units that act similar to a refrigerator. Normally, the tissue can be preserved for 28 days. However, in this time frame, many of the cells die, leaving too few to be used toward a joint replacement. The researchers compared their newfound method to the traditional preservation technique. They found that with their technology, the tissue had a shelf life of up to 60 days and that all the cells were alive. The researchers noted this extra time is crucial for patients. Often, during that 28-day period, the tissue is tested by researchers to ensure that it is completely safe before being given to a valid patient in need. After the tissue is tested, there is very little time to find a recipient, arrange for surgery and have the patient actually undergo it. Real tissue implants in joints are often much more flexible than metal and plastic joints that are used in most total joint replacements. Patients are normally advised against strenuous activities they used to love because the implant does not last long and may be destroyed if used too harshly. Metal and plastic replacement joints are still a very good option, researchers noted. These joints are much more durable than tissue grafts, which cannot be used on everyone. Plastic or metal joints are also better in more severe cases where the bone and joint are too destroyed and there is very little natural structure left, such as in patients dealing with osteoarthritis or some other form of degenerative condition. Yet tissue grafts may be a good idea in patients who deal with an orthopaedic injury and had relatively healthy tissue before the incident occurred. Live tissue has been used for years by orthopaedic surgeons. It is often used to help fill in a damaged area of a healthy joint instead of removing more of the joint and replacing it with a metal or plastic piece. If successful, the graft will grow into the surrounding tissue naturally and create a full joint again. Yet the amount of tissue that frequently dies has caused many surgeons to turn away from this option. The researchers are hopeful their newfound discovery will be able to help more patients and give them another option aside from a metal or plastic joint replacement.